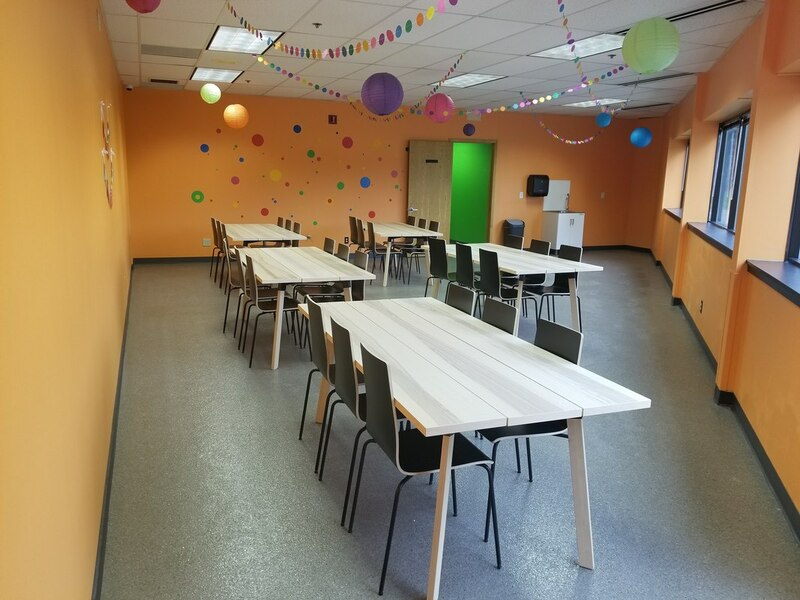 ​InnerActive in Mounds View is the newest spot in town for your DIY birthday party! We offer 2 private party rooms for birthdays and special occasions. A room reservation is required to have a party at InnerActive. - Ten entrance passes for children under the ages 1-17. Adults are free. ​- Unlimited play for the day of your event. Our rooms each seat 32 people. 10 children are included in your reservation, and each additional child (ages 1-17) is just $9! Our private party rooms are set up in a DIY manner. Feel free to bring in items you would like for your event and use this room in a self-serve manner. Cleaning supplies are provided to sweep the floor and wipe the tables at the end of your event. - The party room rental is only for the party space, not the entire park. - There is a 30 minute buffer time between scheduled parties, allowing you 15 minutes to set up before your party, and 15 minutes to clean after your reserved party time. - The time listed is the START time for your party, and will automatically block the following 1.5 hours. The 30 minute buffer is already in place before/after the time shown. 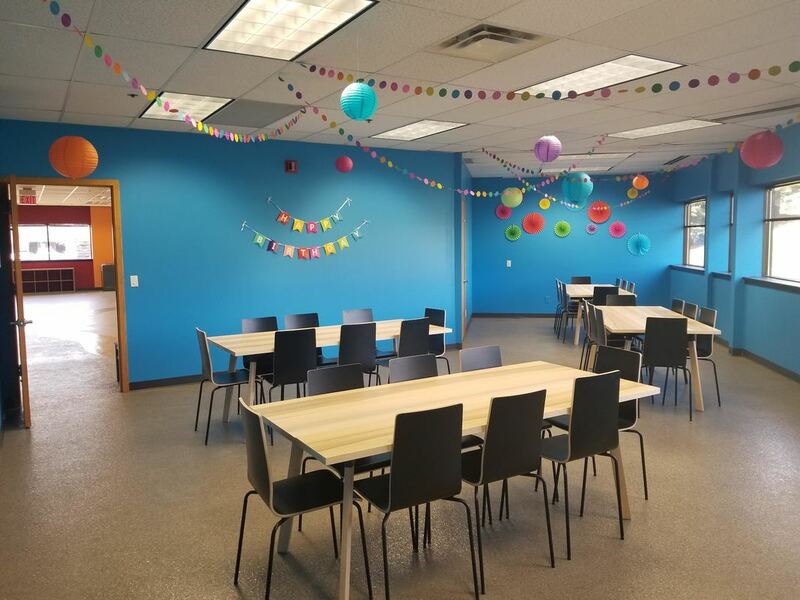 - Impromptu/drop-in parties CAN NOT be held in the cafeteria area, please plan ahead and book our private party space. (A $75 fine will be added to the entrance fee of any groups who choose to hold a party in the cafeteria). - Your party is able to stay and play as long as you would like before/after your party, the only time restriction is your time in the party space. -We do not offer discounts for parties, each child ages 1-17 is $9. -Your final numbers are due 24 hours prior to your party, and final payment for any additional children will be taken at that time as well. -If multiple time slots are booked, only 10 passes will be included with the total purchase. View the LIVE calendars below. There is a calendar for the orange room OR the blue room. Please see below for photos and details of each room. All available dates and times are shown. Select the time you would like, and you will be brought through the process to pay for your reservation. 10 passes is the minimum required purchase to use our party space (these 10 passes are included in your $175 purchase), a refund will not be given if you have less than 10 children. A final number of children for your party is required 24 hours in advance, and your final payment (for any additional children) will be taken at that time as well. Please select the calendar below for the room of your choice. Times shown are all times available in each room. After booking your party you will receive a follow up email that will include a pass-code that will be good for every person in your party group, it will work for the full day of your scheduled party. A signed liability waiver is required for your party. A link to this will be sent in your confirmation email, or you may also use the link below. This must be returned at least 24 hours in advance of your party. If you would like individual parents to sign this form, please download the waiver here. These must be collected an returned to us as least 48 hours in advance of your visit. 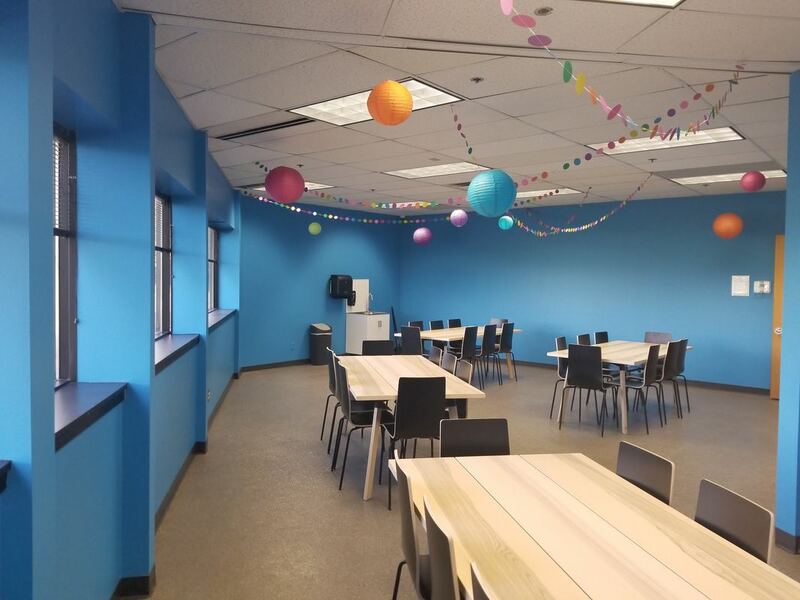 Everything seen in these photos is included with the Party Room at all times! A sink is provided in each room, but there is no fridge/freezer, so please plan ahead! You are welcome to bring tables covers and table top decorations (tables are 6.5ft x 3ft). Balloons are not permitted at InnerActive, and we ask for no confetti, and no decorations on the walls or hanging from the ceiling- including pinatas! 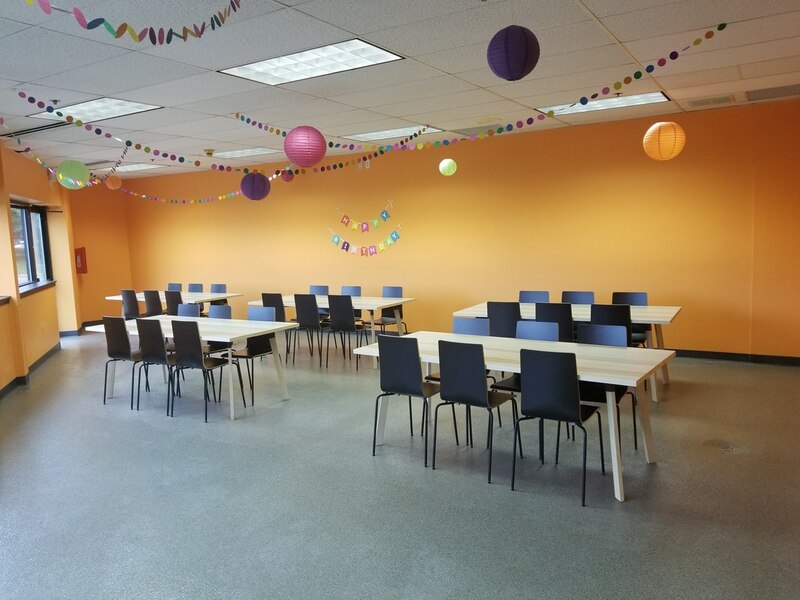 The orange room has 5 tables, and seats 32. The blue room has 4 tables and seats 32. Party Room Cancellation Policy: The $175 reservation fee is non-refundable. ​If you provide at least 14 days notice you may apply your fee to any available date or time within the next two months.